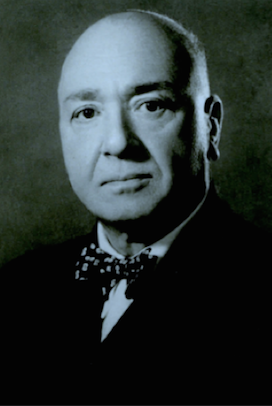 Joe Schemtob was a pioneer of the Kachagh smugglers' route out of Iraq taken by thousands of desperate Jews after 1970. After Part 1, here is the second part of his story. On 27 July at 20.00, we left on mules on our way to Iran. We were very happy and excited. We prayed that God Almighty would save us from the Iraqi tyranny. As Doudi’s back was still poorly, he was unable to ride a mule. The smugglers suggested putting a rice sack on each side of the mule and then laying a mattress over the sacks. Doudi would then be tied onto it. the journey traversed steep mountainous paths with streams flowing across, normally suited only to the fit and well. Now the drama of our journey started. On the crest of the hill, suddenly the caravan stopped. Shecho said that they only wanted to rest. We& noticed that suddenly an argument had broken out amongst the smugglers. None of us could understand Kurdish but we felt uneasy. I asked Shecho what was wrong, but he assured me not to worry. Rahman suddenly turned his horse back and headed back towards Zena. Within a few minutes, all the smugglers including Shecho had followed Rahman. They had left us strandedon the top of the mountain. We had no other choice but to go down the mountain, back to Kurdistan. On the main road, luckily, a taxi passed by and took us back to Darband. A person from the Iraqi Government occupied one of the hotel rooms, but the other two were vacant so we took them. Did those smugglers want to kill us and take our belongings, or did they just want our belongings and to leave us on the mountain to make our own way? We will never know, but we must thank God and Rahman for reporting to Major Shakeeb that we were stranded on the mountain near Zena. From this point on, Major Shakeeb personally looked after us. We heard voices outside. I looked out and saw five or six Pesh Merga with their guns, and Shecho handcuffed, with his head down so as not to be seen. I knew that we had been found out. I was not so worried about the Pesh Merga, about the guest next door who was a member of the Iraqi government. I approached a smartly-dressed man amongst the Pesh Merga and asked if he spoke English. I did not want to alert the Iraqi government official, whom I hoped wouldn’t understand English, to our predicament. The person introduced himself in English as Major Shakeeb of the Pesh Merga. He knew that we were Jews that were trying to escape to Iran. I took him to Doudi’s room and asked him how he knew. He said that he found a Hebrew prayer book amongst our belongings. I asked him whether I could see Mr Zaid Othman, the Foreign Minister of Barzani's Kurdish goverment who lived only a stone's throw away from the hotel in Darband. He told me that Mr Othman was in Baghdad and enquired how I knew him. I replied that he was a friend and a tennis colleague. He asked what our reason was for going to Iran. We confessed that it was principally ; to escape the atrocities of the Iraqi Government. Doudi needed an operation on his back impossible to arrange in Baghdad. Our plan was to go to Iran and from there to England for the operation. We begged him to help us by not telling the Iraqi authorities. To our surprise,the Major said that he would be pleased to help us. Darband was a dangerous place and he wished to take us immediately somewhere safer He called us two taxis at 12.30 am and took us to a house to sleep. The occupants were ordered to leave. He would return in the morning. Fahima went to bed first. She saw something metal under her pillow. It was a gun. I took it from her and put it somewhere safe. I had faith in Major Shakeeb. Poor Doudi was sceptical and worried what the next hour would bring. Major Shakeeb could not tell us much, apart from assuring us that everything was going to plan. On 28th July 1970, Shakeeb brought two Land Rovers and took us to a safer place called Chooman where no ordinary cars could pass. There were only two semi- detached houses and he said that we should remain here until we could travel to Iran. We simply had to believe him. In Chooman, our kind neighbours brought us more than enough to eat: a samovar to make tea, cream, fresh baked bread baked in the Tannoor oven, eggs, jam and milk. They were incredibly kind and we were grateful for their hospitality. We stayed in Chooman until 5th August. At around 20.00 hours, I saw a light coming towards us, perhaps the headlights of a car. Major Shakeeb came out. He announced "tonight you will be going to Iran." We could not believe it. We were so happy. We quickly packed all our belongings and squeezed ourselves into one Rover car. Major Shakeeb was not coming with us: someone ranked much higher would be looking after us. We bid him farewell and thanked him for all he had done for us. He refused to take our 'present'. In 20 minutes we had reached a house in Haj Omran .None other than Masuad Barzani, the Kurdish leader, came to the room and introduced himself. Mr Barzani was a gentleman He asked if there were more people who wanted to leave Iraq illegally to Iran. He said that he would be willing to help them cross the border. I suggested going back to Baghdad by myself to bring my brother Djamil and his family and other friends. However, Doudi was not in favour of this idea as it would be too dangerous. I agreed but my conscience wanted to save them. We drew up a list of over twenty people who would be interested in leaving Iraq. The list was to be handed to my brother Djamil, and he would inform the others. Unfortunately the list was given to Nissim Shina. Not only did he himself cross the border with his friends, but the list never reached Djamil or the others who wanted to escape. We hugged Mr Barzani and thanked him for what he had done for us. He provided us with two cars to take us to Iran. He added, that at Khana (the border), an Israeli agent would be contacting us. The Israeli agent visited us in our hotel. The next evening we took the train to Teheran. On our arrival , to our surprise, the Sofer and the Chitayat families were waiting for us at the station. They rented a flat for us and drove us straight there. We had a wonderful time in Teheran with our friends and the happiness of leaving Iraq contributed to our joy. On 10th August, we left Teheran for Israel. We met friends and had a very good time. I left for London on 21st of August 1970, and it was a great joy to reunite with Foufou and David after exactly six years. On 3rd September 1971, we were very glad to have Ronnie, our second son. This is our long and dangerous story, which ended well. I am glad people made it the same way; others made it in different ways. I am sorry that some had a hard time, like (my brother) Djamil and (sister) Rachel who were caught on the way to Iran. It could have been easier if they had received the list. What I did was a very dangerous thing. I did not do it because I was brave. I did it because I had to, with God’s help. He gave me the courage to undertake such a responsible and dangerous mission - we could have easily lost our lives. Thank God, a million times - He helped us all the way. Just before we left Teheran, Morris Khalastchi and his family came to Iran, also Khachagh. He told me that my father Heskel Schemtob had made the Aliya of 120, 000 people to Israel possible, and now twenty years later, I had blazed the trail. I do not, however, believe that I had done even one percent of what my father achieved.